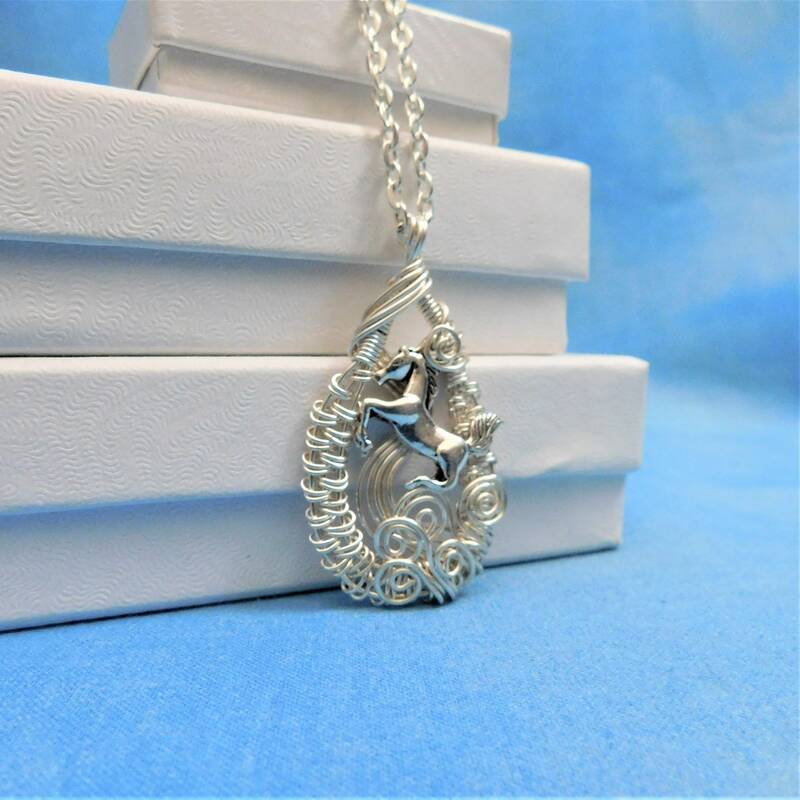 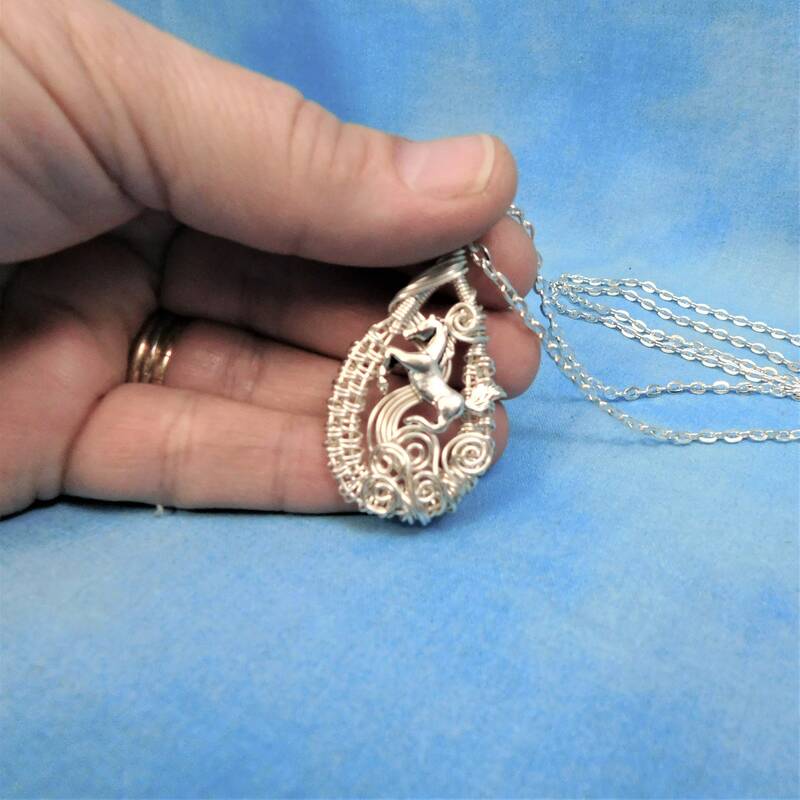 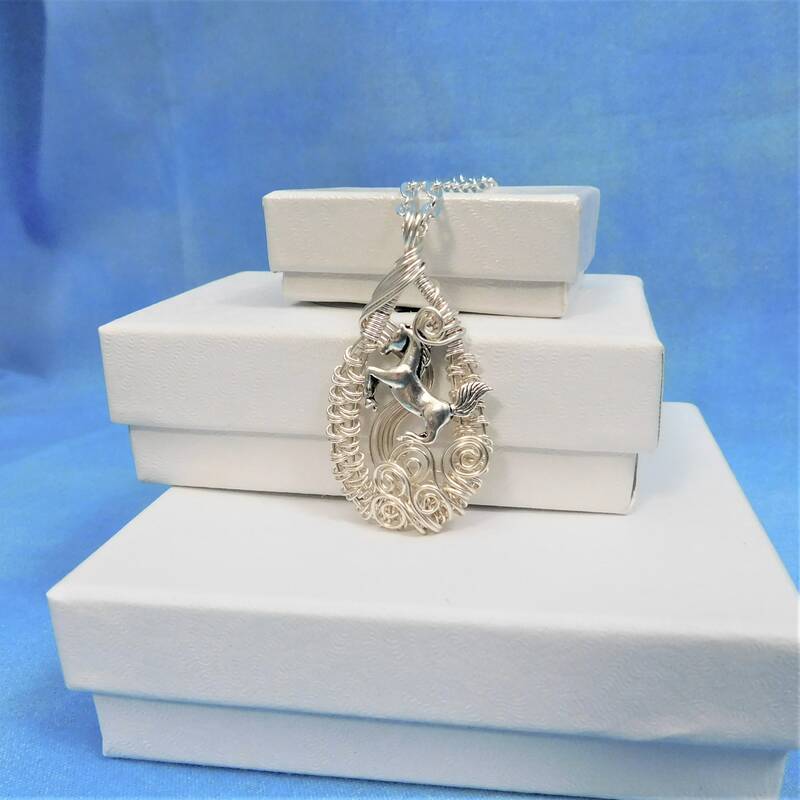 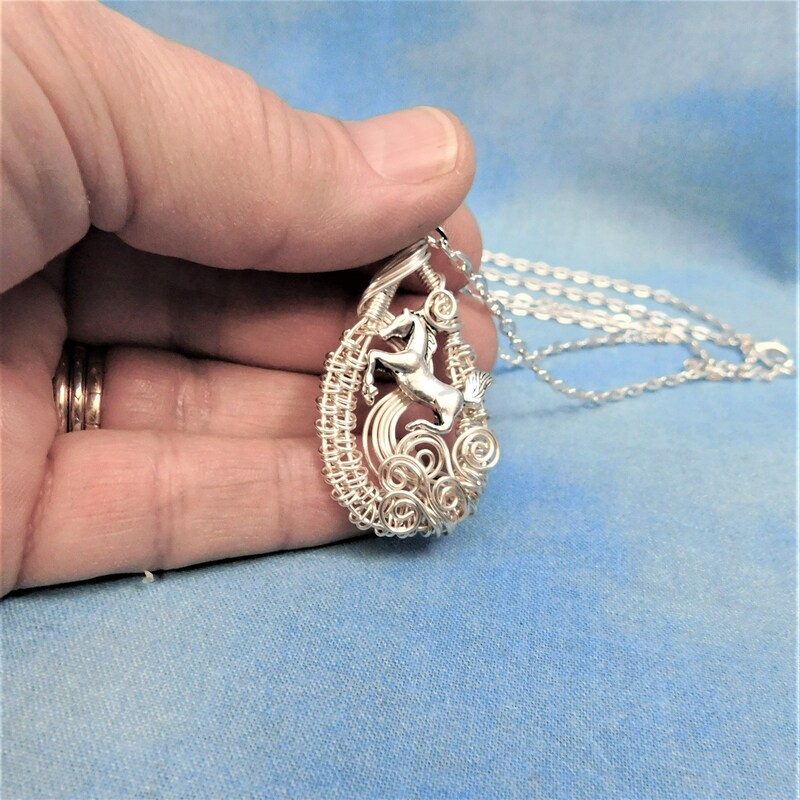 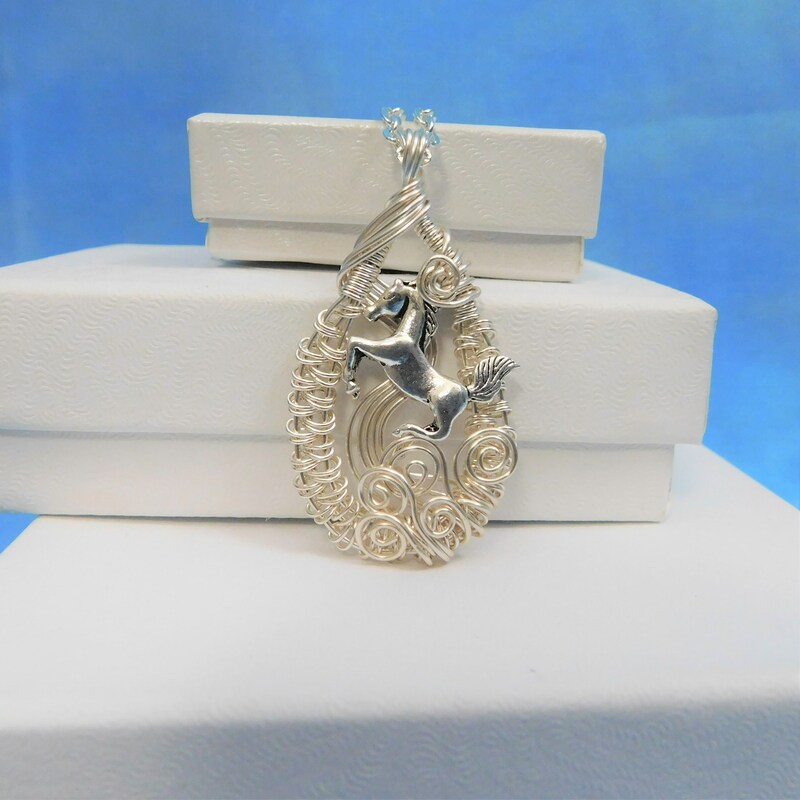 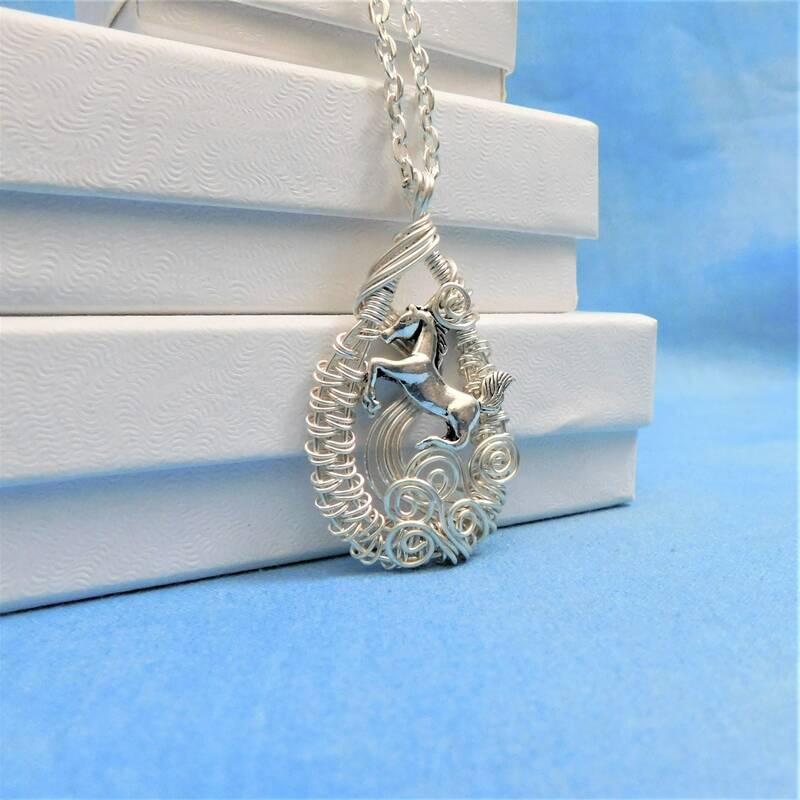 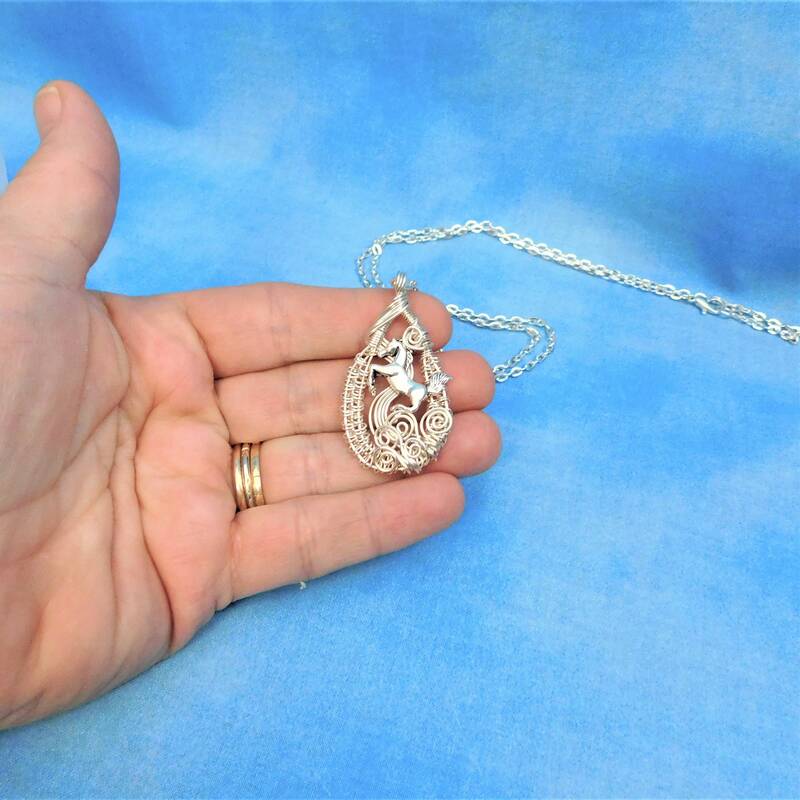 A majestic silver horse is framed by artistically hand woven non tarnish fine silver over copper wire in this 1 1/2 inch by 1 inch pendant. 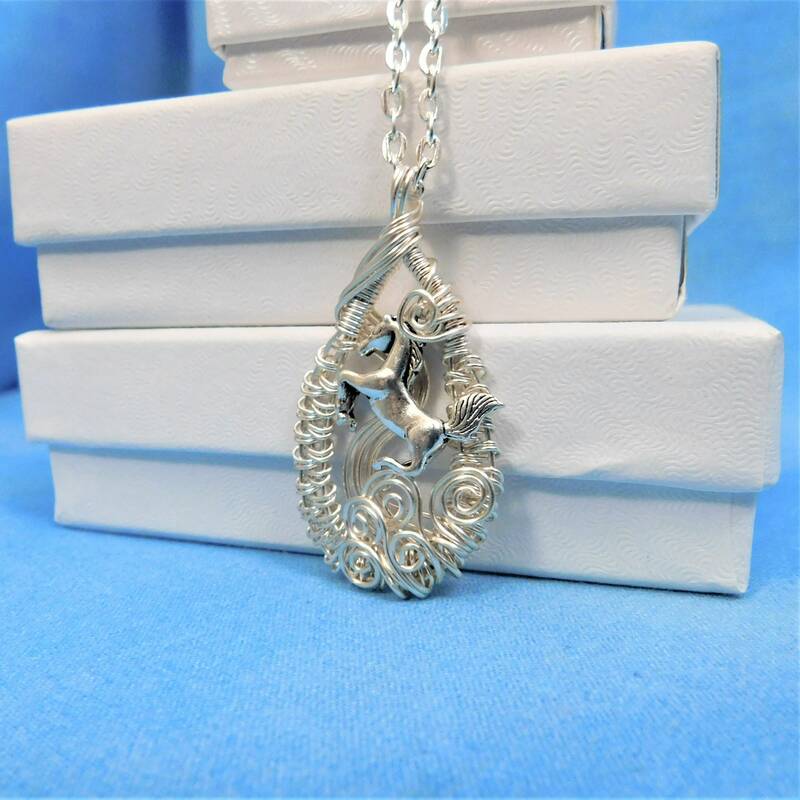 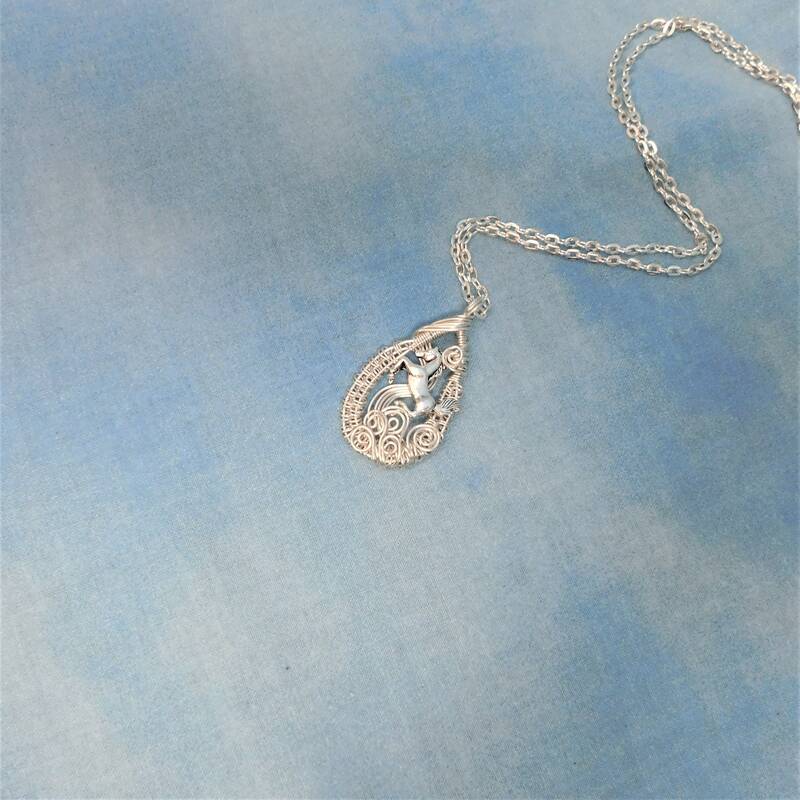 This artisan crafted necklace is a unique expression of an equestrian's passion. 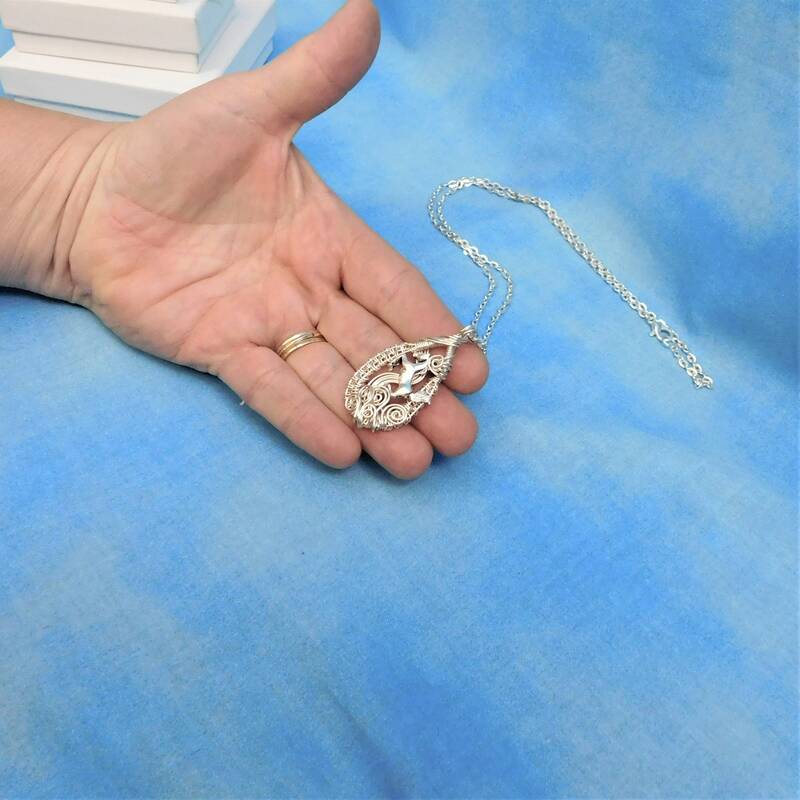 It will be a treasured keepsake for years to come.